The combination of drought, conflict, and governance issues in Africa in the past decade has led to a massive humanitarian crisis in which millions of people have had to leave their homes. The current estimate of people who have had to move away from their homes worldwide is 66 million, 22.5 million of whom are refuges who have crossed international borders, A substantial portion of the world’s refugee and internally displaced peoples are in Sub-Saharan Africa, some 18 million people, many of whom are stateless and therefore lack rights to adequate health, education, political participation, and even food, and water. International humanitarian assistance programs from the United Nations High Commissioner of Refugees to the World Food Program and non-government organizations such as Doctors without Borders, Oxfam, and the Red Cross/Red Crescent Society have been attempting to cope with the crisis. Some refugees and internally displaced people have opted to seek asylum or to move to other countries in the Middle East, Europe, Canada, and the United States. This talk will focus on the causes and consequences of the humanitarian crisis in Africa and will explore some of the innovative strategies that have been employed to cope with the crisis, from promoting local-level conflict resolution mechanisms to promoting programs that expand entrepreneurial, employment, and income generation activities. Lessons are drawn from the humanities and anthropology in ways to address the complex humanitarian issues facing many of Africa’s people. 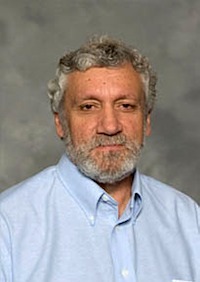 Dr. Robert K. Hitchcock is a cultural anthropologist and human ecologist who has spent much of his professional career working on issues facing current and former hunters and gatherers and agro-pastoral peoples, particularly in Africa. His focus areas include cross-cultural research on social and economic change, resettlement, livelihood rights, and well-being of indigenous people, women, minorities, and refugees. He has done extensive work with refugees in Africa, particularly in Somalia, Namibia, Uganda, Botswana, and South Africa. A board member of the Kalahari Peoples Fund (KPF), a non-profit organization that assists people in southern Africa, he also teaches courses in anthropology, human rights, international development, and interdisciplinary research. He provides anthropological expertise in land and resource rights cases and conducts social and environmental impact assessments of large dams, agricultural projects, refugee resettlement, and conservation programs in Africa, the Middle East, and North and South America. Some of his recent work has been with African refugees and immigrants in the United States, primarily in the Great Plains, Midwest, and Southwest. He is currently teaching a course on Indigenous Peoples rights at the University of New Mexico which deals in part with refugee issues in Africa, Asia, the Middle East, Europe, and the Americas.